Over 10 years of experience fighting for your rights. Tough, experienced and will not compromise. Our lawyers are highly skilled and will fight for you. Charged with a Felony Crime in Chicago, IL? Being Investigated by Federal Authorities or a State Task Force? Falsely Accused? What Do I Do Next? Request your free consultation by calling 312-600-0400 or fill out the form below. 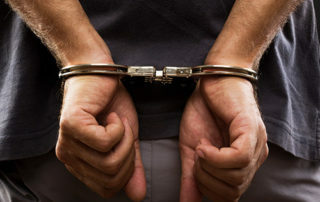 Our Criminal Defense Lawyers Are Uniquely Qualified To Handle Your Criminal Case! Call (312) 600-0400 or fill out an online form to speak with our criminal defense lawyers. JB was arrested and charged with violation of bail bond after a gun was found in a bag that also contained a piece of his mail. The bag was found after a search warrant was executed for the house where JB reportedly lived. At the time the police executed a search warrant, JB was out of custody on bond for another crime he had been accused of. One of the conditions of the bond for JB’s release was that he was not allowed to own any firearms. Thus, any gun found to be in JB’s possession was a felony. It was very important that I help JB win his case because if he was found guilty of this crime he would have to do 1 to 4 years in prison consecutive of the time he would have to do for the crime he was accused of prior to this arrest. At the time of trial, JB was already serving a 3-year sentence for the previous case. The pressure was for me, if I lost JB would be sentenced to another term of imprisonment. If I win, JB would get credit toward his sentence for the time he already did in custody awaiting trial. At trial, the State of Illinois presented one witness, the lead police officers. For the state to win, they needed to show that JB knew about the weapon and that it was his. For a prosecutor to prove possession of a weapon that was not found on them they must prove constructive possession. Constructive possession is proven by showing exclusive control over an area and knowledge of the contents of that area. In this case, the officer testified that he executed a search warrant at a specific home. That when he arrived, JB, was standing outside the house, that when he entered one of the bedrooms in the house the officer found a blue bag that contained a piece of mail addressed to JB and a loaded handgun. When I was finally allowed to conduct my cross examination, I exposed all the holes in the state’s case. I was able to get the officer to testify that JB was not actually on the property of the house when he was first seen. He was actually exiting a car and was on the street. That there were actually four other adults in the house and that the police officer did not investigate any of them as to who owned the weapon. That the room the gun was found in also contained a piece of mail addressed to a second person. When the cross examination was over, I felt as though the state’s case had fallen apart and their witness had lost his credibility. After the State’s witness, the state rested. At this time, I chose to not present a defense. Choosing to not present a defense is sometime the absolute best defense. It is not the job of a defense attorney to prove a person innocent and if the prosecutor has not proven their case a good defense attorney should simply point that out to the judge in his/her closing argument. After defense rested it was our turn to make a closing argument. I argued that the state failed to meet its burden. I argued that the state could not argue exclusivity since, four other adults were closer to the gun and since another man’s mail was in the same room. I argued that the prosecutor failed to prove that my client knew about the gun since no one could explain how my client’s mail was placed in the same bag as the gun and since not one witness testified that my client ever owned the gun. The judge agreed with me and found my client not guilty. My client was then awarded credit toward his sentence for the time he spent in jail awaiting this trial. JB, his family and I were all very happy. 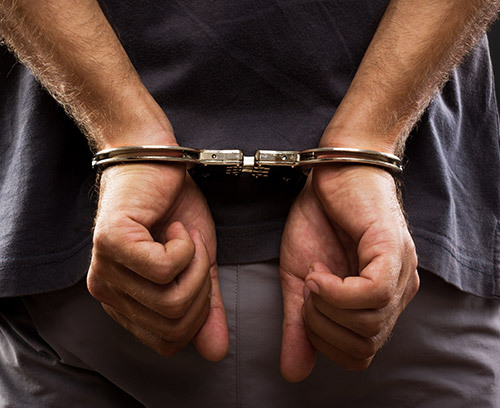 First and foremost I am an experienced criminal defense attorney. In the ten years that I’ve been practicing law I have represented countless people in a wide variety of criminal cases in Illinois and Federal courtrooms. Since the time I graduated from John Marshall Law School, I have represented tenants and landlords in landlord-tenant disputes, individuals who had been discriminated from when obtaining housing (fair housing case), people in civil contract and tort cases and of course individuals charged with crimes criminal cases. I enjoy what I do because I like to help people who have been wrongfully accused and there is no better feeling than when I win a case for my clients. From the my very first time representing a defendant in a criminal case until the present I have been very successful in winning cases. Throughout my career I have handled everything from petty traffic offenses to first degree murder charges. I am always just as excited as my clients are when we win their cases. I hate to loose and will treat you and your case with an intense amount of attention to detail that few other criminal defense lawyers will provide. I love to win and I will treat your case with care. I care about winning for you and your family. Please Contact our criminal defense attorneys today to learn more about how we can be of assistance to your case. Aaron Rosenblatt will stand at your side and will aggressively fight for you every step of the way.